Graphic novels and graphic novel movies have been a staple of American culture since the golden age of comics. They have steadily become the most interesting and hotly debated of cinematic exploits. To talk about a time when movies made us feel like we knew superheroes is to talk about a time when cinema ruled the world. But in terms of graphic novels, none are more highly revered than that of Alan Moore. Of all Moore’s work, his foray into the nuclear-driven world of “Watchmen” has so many topics for discussion, let alone comparison. Once called “unfilmable” by the author himself, this novel deals with so many topics that it is rough to even summarize. But though “unfilmable,” “300” director Zack Snyder has dared to conquer such a thing in his 2009 adaptation. 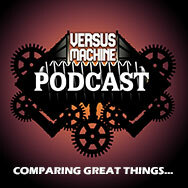 We at the Versus Machine Podcast feel Snyder got some of the essence of purpose and characters, but he missed the biggest points. Unfortunately, this leaves us wanting in a way that may be hard to conquer for any fan. — Own A Copy Of Watchmen? Look HERE! — 15 Facts YOU May Not Have Known About The Watchmen (2009) Film! 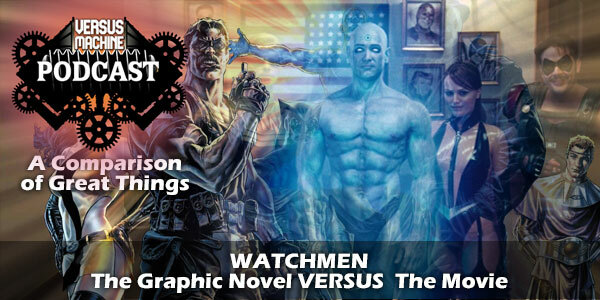 — Which do YOU prefer, The Watchmen graphic novel or The Watchmen (2009) film? Be sure to tell us now! — What was YOUR favorite scene from Watchmen (2009)? Be sure to tell us now! — What are YOUR favorite memories of reading the Watchmen graphic novel? Tell Us Now!